Raise your hand if you’ve ever set out to add a new healthy habit to your life, and then before you know it, 6 months have passed and you realize that you totally forgot about those goals? Everyone’s hand should be up at this point because establishing a new habit is hard. It’s an uphill battle that takes time. Adding a new task or tool to the daily mix requires flexing new mental muscles over and over again. So how can SaaS teams make sure the people using their tools make a habit out of it? One very effective way is to create an omnichannel onboarding experience. What is an omnichannel experience? When you’re helping users get up to speed with all of the latest and greatest features you have to offer, you need to be omnipresent. Repetition and engagement are the names of the game in onboarding. After all, new users can’t gain value from your product if they aren’t using it, and they may not use it without consistent motivation. An omnichannel experience is a strategy that ensures the same, cohesive messaging, and motivation is delivered across all of your marketing channels. You may be thinking: “Oh, this sounds like multichannel maketing, which my company already does.” And while the two terms are similar in meaning, there is a crucial difference between multichannel and omnichannel. Both multichannel and omnichannel strategies include marketing efforts across multiple channels such as social media, website, email, and SEM. The difference between the two approaches lies in how those marketing efforts connect. If each channel is telling a different story and pointing the arrow in a different direction, you have a multichannel experience. However, if all of your efforts stride in the same direction and sing the same tune like a marching band in the Macy’s Thanksgiving Day Parade—congrats,you’ve achieved omnichannel greatness. Let’s take our understanding of omnichannel a level deeper by exploring the components you’ll use in an onboarding scenario. Most omnichannel onboarding experiences focus on 2 key channels—in-app messages and onboarding emails—with support from a few others. First up are user onboarding emails. 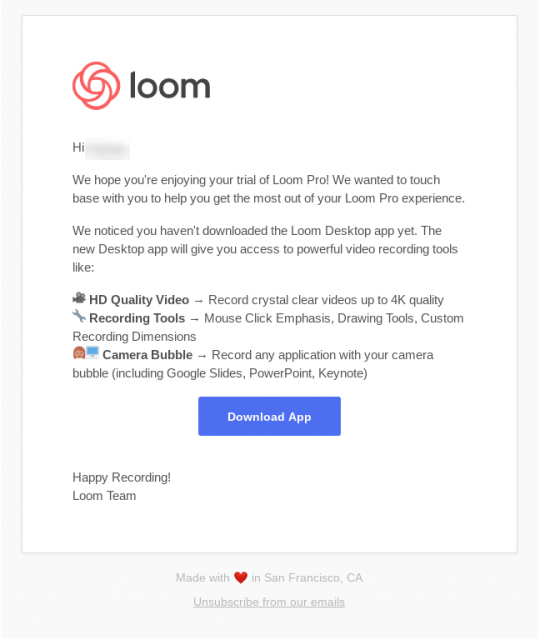 Though there are different tactics your onboarding emails can use, their primary goal is always to motivate and propel users into your app. In-app messages can be everything from an initial product tour to alerts and notes that encourage users to explore and engage with the product on an ongoing basis. Use them to call attention to important features or point users in the right direction to accomplish a task. In addition to the 2 critical onboarding channels above, you can also use methods like promoted content on social media to offer insight and reminders anywhere your customers hang out online. Sharing guides, webinars, and case studies can help redirect attention to your product over and over again during those critical first weeks of onboarding. Let your power users do some of the legwork! 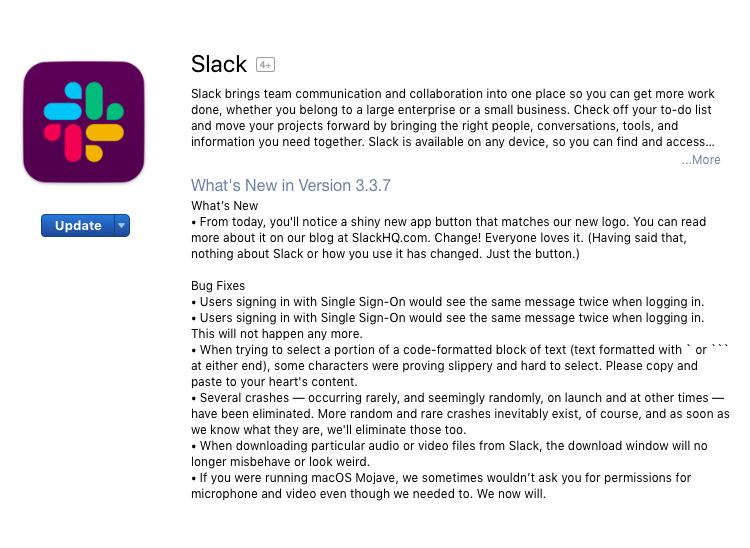 Give your users a common place to connect (like a Slack community) to share ideas, and ask for help. Now that we know what an omnichannel onboarding experience is, let’s talk about how to achieve it. I understand your product has a lot to offer, but try to stay focused during onboarding. The hope is that eventually, users will come to know and love all that your company has to offer. However, you should start with a sample plate, not the entire feast. Choose the main tools you want new users to engage with, and use all of your channels to talk about those key features and functionalities. If a new customer is seeing information from your company on multiple channels and they all point in a different direction, you’re going to make their head spin. No matter how grand your customer goals or features may be, never be afraid to start small. 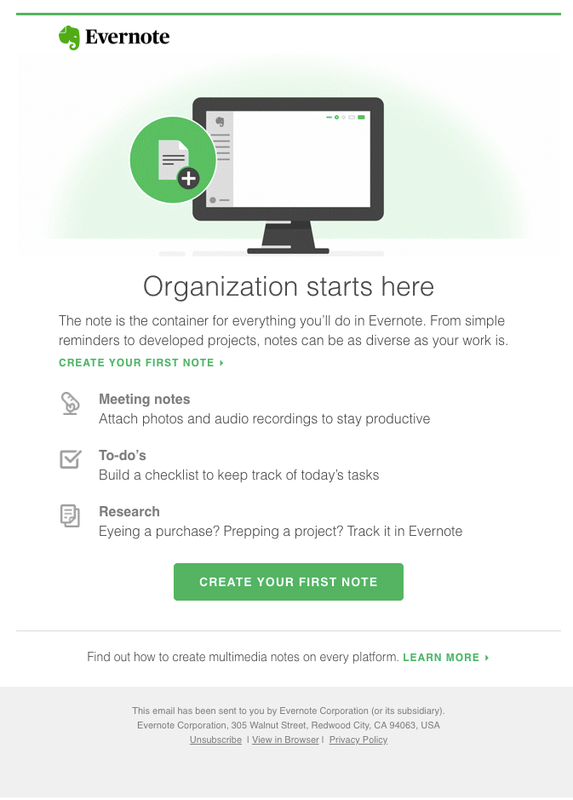 For example, Evernote kicks off their email onboarding with a simple CTA—to create a single note. In addition to covering the same features across all channels, you need to present them in the same order. If you imagine your marketing flows across different channels as a step-by-step guide, it’s easier to understand why you shouldn’t present information in different orders. If your emails feature tools A, B, and then C, then your in-app messages should also highlight A, B, and then C. Sellbrite does a great job of choosing a few essential features and presenting them in a logical order. Everybody loves a good checklist, and Sellbrite makes jumping into their product much less intimidating with their three-step onboarding instructions. Maintaining a consistent tone and feel across all communications can be a harder task to nail down than the previous two suggestions. But strong branding is essential to a truly omnichannel experience. Think about your branding as a mix of personality and physical appearance: If you met someone 3 times and looked and acted differently on every occasion, how would you know which version to trust or connect with? Your marketing materials shouldn’t be carbon copies of one another, but they should be consistent and make sense together. Emails sent after in-app actions (or inactions) are ideal for acknowledging progress or nudging a user to give a tool a try or pick up where they left off. Used correctly, re-engagement emails can tap into a natural human desire to complete unfinished tasks and make a big difference in activation and conversion rates. We’ve saved the best for last, folks. The previous tips covered how to make sure your onboarding efforts work together. The second, and perhaps most important, component of omnichannel onboarding cohesion is the alignment between your message and your user’s goals. The entire point of onboarding and getting a user to establish a new habit is to help them reach a goal. No matter how cohesive your message is across channels, it will fall flat if it doesn't move a person closer to their definition of success. To align onboarding with customer success, try working backward: Start with the end goal in mind. What project or change does a user want to complete in a given time frame, and what steps do they need to take to get there? By starting with the end in mind it’s easier to choose the features you’ll present, and the order users will need them in. A laser focus oncustomer goals (rather than your own) also makes messaging a lot easier. If you need a little inspiration for aligning onboarding to customer success, look no further than Mailchimp. 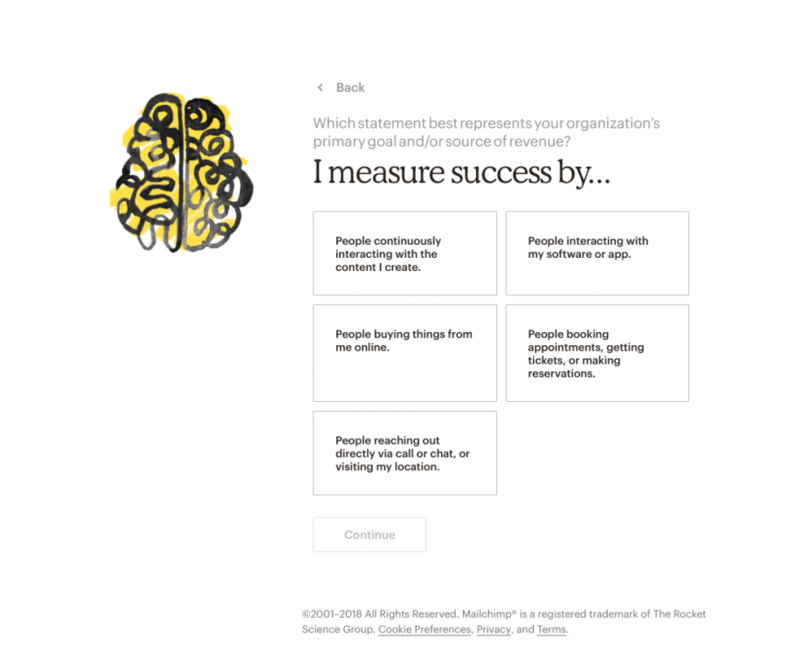 One of the first touch points in their onboarding experience is a six-question quiz that pulls out information about a user’s business and goals. At the end of the day, your job is to create an assortment of touch points that all work toward a common goal. A well-done omnichannel user onboarding experience reduces a customer’s time to value (TTV) and sets them up for long-term success with your product. And long-term success = long-term customers! Steph Knapp is a SaaS copywriter and content marketer. She loves writing about onboarding emails and helping companies guide users to their aha moments. The right customers find success with your product, advocate for it, and help you grow. But how do you know if a customer is a good fit?